A 3rd Generation carpenter and founder of Home Trimwork , Igor Szczerba is one of our featured and favorites here at Wish I Had That (dot) Com. He is the King Midas of the designer genre. His unique blend of color and style changes even the most ordinary of rooms into the majesty of Giza! Next time you're in the Schwenksville, Pennsylvania area, give Igor and the folks over at Home Trimwork a call. And, as Igor always says, I guarantee my work and take a hands on approach through all facets of your project. Did you know that wainscot was developed as a means of providing warmth and insulation to cold stone homes as early as the 1300's? What Igor can do to a room, most of us only dream of. And, what he does for wainscoting is as brilliant as what Shakespeare did for the written word - he takes a centuries old art and makes it his own. Take this fabulous room, for example. 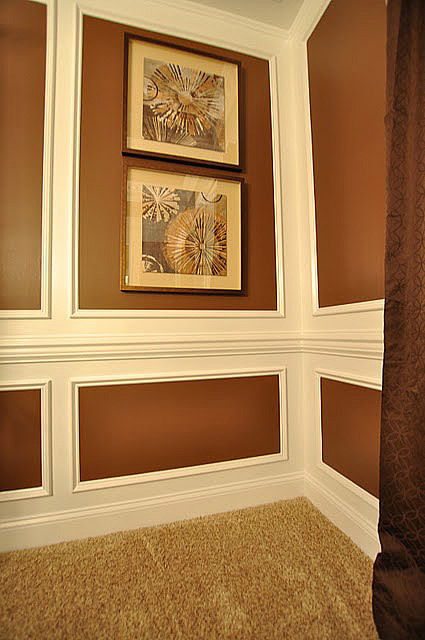 To create this warm wainscot, Igor used a molding similar to our ET-8727 Wainscot Molding. 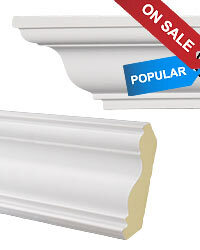 Bring warmth to your own room, as Igor did, using a molding such as our ET-8711 Wall Molding. Nice, Igor.